We are pleased to provide extended care for summer and winter camp from 8:00 - 9:30 am and 3:30 - 5:30 pm (except Friday). The cost per child is $25/week for AM and $25/week for PM. Registration including payment must be completed before camp starts. 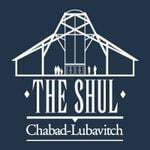 If there are any changes afterward, please contact Rabbi Yishai at rabbiyishai@theshul.net. Please specify below which weeks you will need care. Please note: There is no after-care on Fridays.